The perfect solution for the beginner and the professional. This kit has everything needed for the piercer on the move including a custom made carrying case. 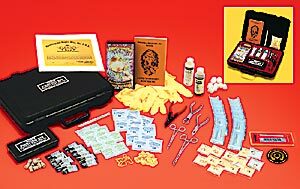 This professional piercing kit is complete as shown. Includes instruction booklet and video with step by step procedure.